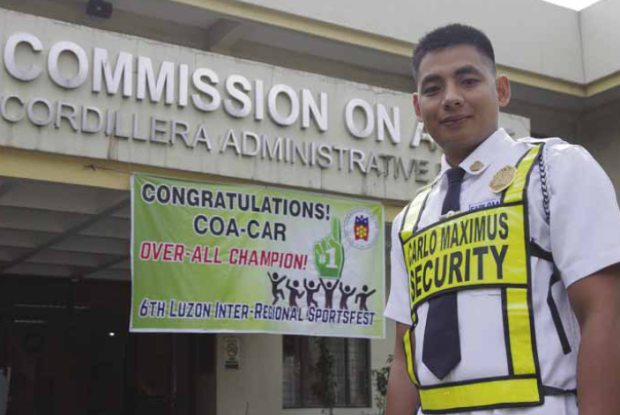 READ: Security Guard From Baguio is Now a Lawyer! We have seen many stories of success shared in the online world. There are people who reached the peak of their triumph through the use of social media. The very well known celebrities of today like Maine Mendoza, Kim Domingo and many more, claimed their spotlight by showcasing their talents on social media. Like many other celebrities, we are witnessing success stories of ordinary people reaching their dreams other than being in front of the camera. One of the most inspiring tales is Roy Lawagan. His typical day revolves around the vicinity of the Commission on Adult Office in La Trinidad, Benguet, as a security guard. However, he is aiming to become not just a person who implements law and order, but someone who masters the law and constitution. At night, Lawagan is taking up Law at Saint Louis University in Baguio. He took studies in a review center after graduating and took the bar exams in 2014. Unfortunately, fate did not give it to him yet. This challenged the security officer to double up his efforts. Him reviewed by himself and took a second try last November 2015. Now, he is one of the 1, 731 newest lawyers.